Well I have been doing a lot of thinking here to-do with the universe and how it should look. So I will be creating a huge rectangle with a 3d dimension consisting x, y, z sectors, basically a 3 dimensional grid. So if we say have a grid of x = 200, y = 200 and z = 100 which sounds rather small, but we would have a total of 4,000,000 sectors. Granted some of those sectors will be unallocated i.e. emptiness, but might get allocated later on when the game expands. But I was thinking more on the lines of x = 3000, y = 3000 and z = 1500 which looks about right and will give us a maximum of 13,500,000,000 possible sectors. So depending on if we have different races that the players can choose upon creating their character, they might start at the complete other side of the universe. One think I have been thinking about a lot and that is PvP, you all know my feeling about PvP in BNT, but so not to remove it completely I will change it some what. Players of the same faction or factions that are friends with other factions WILL NOT be able to attack each other. I am still not happy with players owning planets, but I will leave that as it is for now and come back to that later on, so this may or may not change later on. I have discussed this with some close friends who some have had a quick go of BNT and some that haven't played it at all, so this was taken from both sides of things. But the majority told me that they didn't like the turns in the game and that it was too restrictive and once your turns were used up you are stuck where you were until more turns are available. A small amount said players should be free to play the game how they like without the restrictions of turns holding them back. Whereas majority that said turns should be removed said that movement should have a time constant to it, the larger sized ships should move the slowest whereas the smallest ship should be the fastest, this is all depending on the type of ships and they load outs. Also saying that, there is nothing stopping a players ship from jumping from location A to location B, but the distance would depend on the power requirement, plus not all ships will be able to do those kind of jumps, but that's if we allow the player to jump to random locations like that. 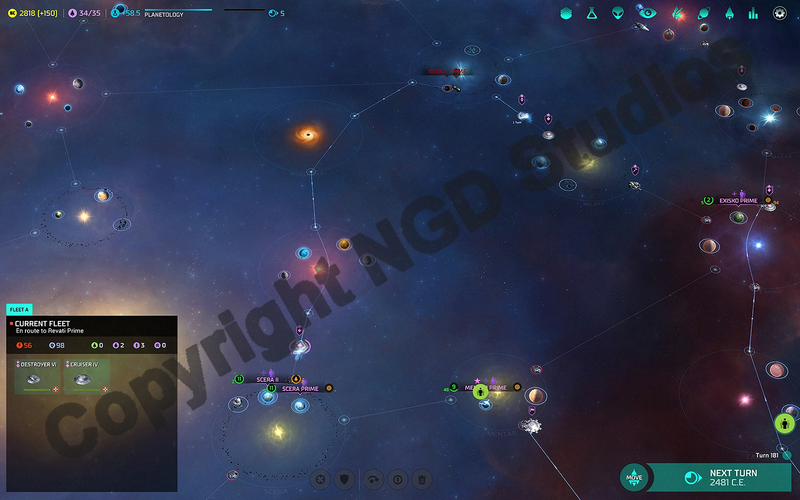 I want to create star maps that look a bit like they do in the Master of Orion game where we would have different zoom levels of the star map. Above image shows links between stars. Shows links zoomed in to show planets inside around the stars. 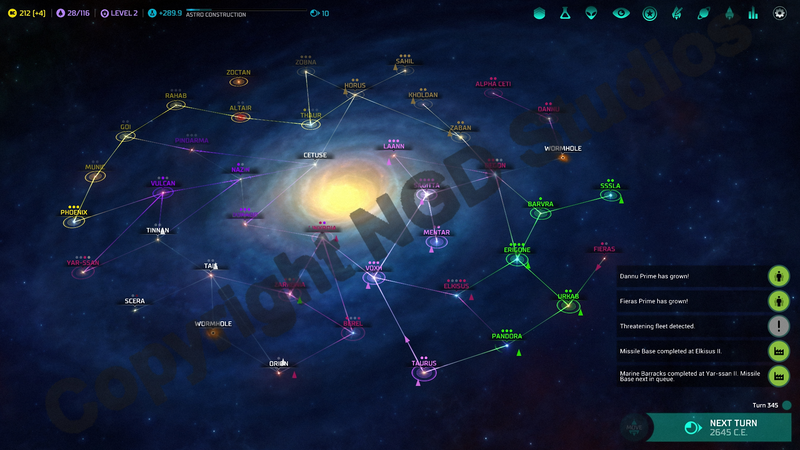 I am "hoping" to have the Star Map as a 3D View. I was hoping to be able to run the game for my forum using the same web-host.. Now to host a game I am going to have to buy a dedicated server to "Host" a server - that is if there is a very basic step by step guide on how to get it set up and running. Looks like I'll be stuck with 2Moons. Hexeus wrote: I was hoping to be able to run the game for my forum using the same web-host.. Now to host a game I am going to have to buy a dedicated server to "Host" a server - that is if there is a very basic step by step guide on how to get it set up and running. Many people run BNT on their hosts along with websites. It's actually included in some Cpanel & Softaculous installs as a one-click install. I honestly don't know how much easier you can get than that. What makes you think you need a separate server or that it is difficult to setup? • Create its base folder and set permissions to said folder. • Upload Game Server Files to base folder. • Setup Crontab to run as above said user a bash script at boot time. • Open required ports in firewall. The first time its run it won't connect out to our network etc, this is due to its unaware of the config information like the server account and Server Key, once that information has been entered in via the admin webpage, you can then click on the Test Button which will test its link back to our network and display the result, hopefully it passes all checks and at that point allows the Admin to enable the game server. Once the Game Server has passed all checks and has been enabled it "should" show up in the list as a 3rd party server. Well that is what I am aiming for. Indeed, however that is outdated and have ran into multiple errors trying to play it.